In accordance with decisions of Presidential Board in Sochi FIDE publishes the list of Federation in Arrears. The list will be regularly updated. 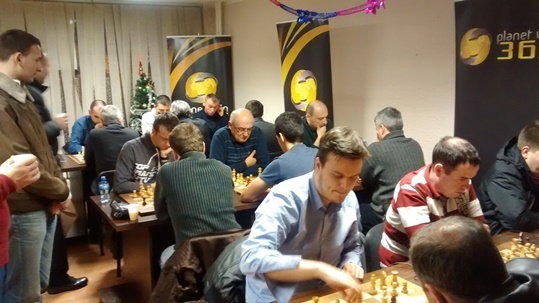 The Tbilisi Open Blitz Championship was organized by the Tbilisi Chess Federation on 30th December. 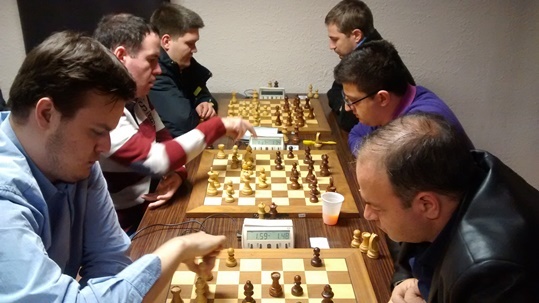 78 players took part in the 9-round Swiss tournament with the time control 3′+2”. Top-seeded GM Merab Gagunashvili took a clear first place with 7,5 points, half a point ahead of the chasing pack. In the Congress of Chess Composition, the above puzzle was chosen as the ‘Study of the Year 2008′. 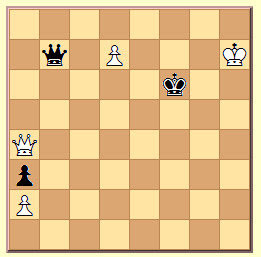 It is White to move. Can you find the winning continuation for White? Puzzle by Velimir Kalandadze (GEO). May your holiday season, as well as the coming year, bring you love, joy, prosperity and peace! 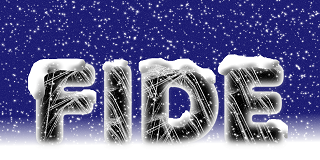 Wishing you a very Merry Christmas, Happy Holidays, a Happy New Year and all the best for 2015! 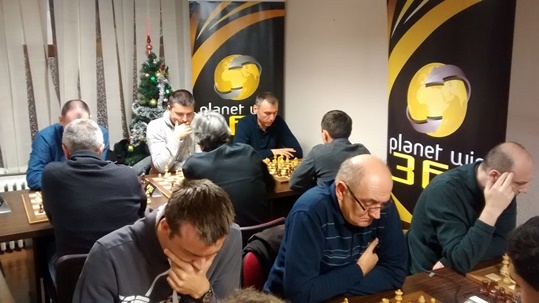 The Planetwin365 – All Stars 2014 Blitz Tournament was held on 29th December at the Tadic Chess Club in Medakovic, Belgrade. 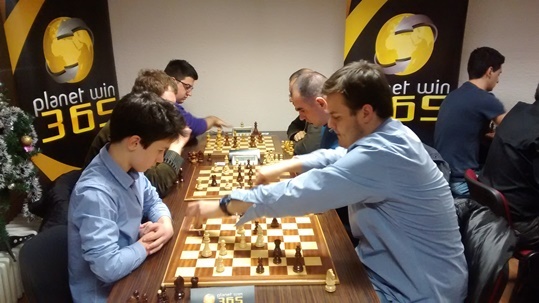 26 players competed in the round robin tournament with the time control 3′+2”. There were 16 Grandmasters in the field. 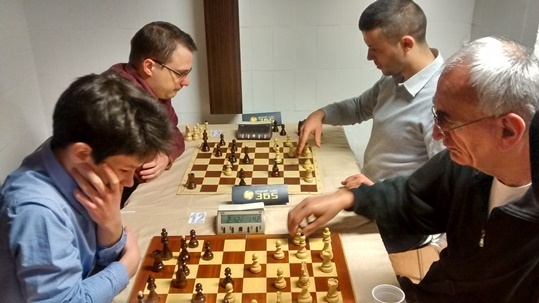 Grandmasters Nikola Sedlak and Dusan Popovic shared the first place with 20,0/25 points each. 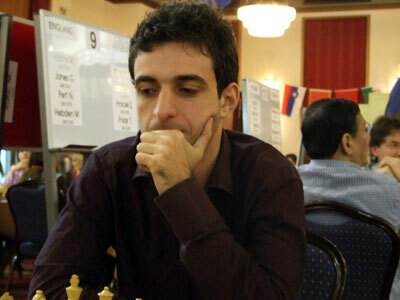 Sedlak claimed the top prize of 200 USD on better tie-break. 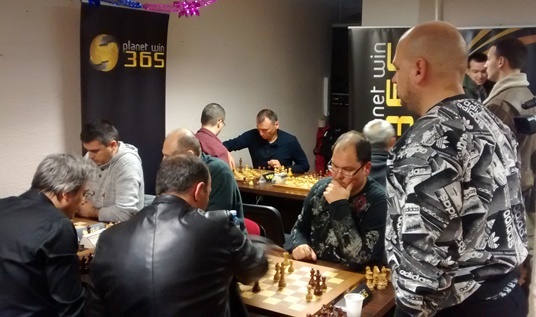 The “unofficial” blitz championship of Serbia was sponsored by planetwin365 and organized by GM Branko Tadic. Chief Arbiter was IA Nebojsa Baralic and the prize fund was 1000 USD. Standings below. 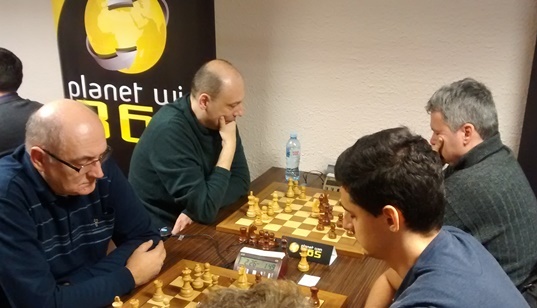 GM Branko Damljanovic and IM Milos Roganovic. 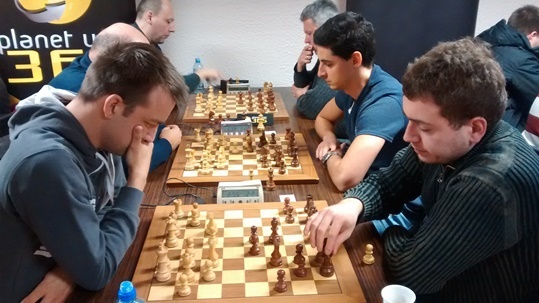 GM Milos Pavlovic and IM Goran Arsovic on second board. 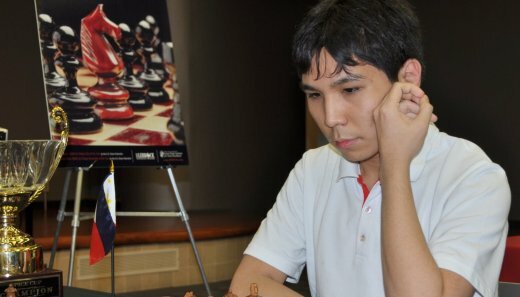 You are currently browsing the Chess blog archives for December, 2014.